The fitment of rates of services were discussed on 19 May 2017 during the 14th GST Council meeting held at Srinagar, Jammu & Kashmir. 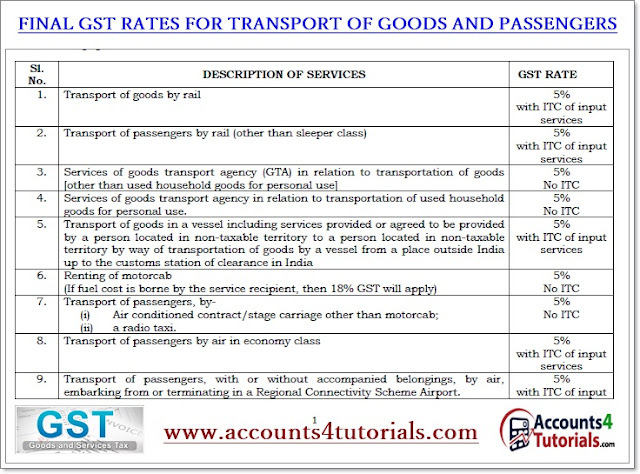 The Council has broadly approved the GST rates for services at Nil, 5%, 12%, 18% and 28% as listed below. The information is being uploaded immediately after the GST Council’s decision and it will be subject to further vetting during which the list may undergo some changes. Services of goods transport agency in relation to transportation of used household goods for personal use. Transport of passengers, with or without accompanied belongings, by air, embarking from or terminating in a Regional Connectivity Scheme Airport. Construction of a complex, building, civil structure or a part thereof, intended for sale to a buyer, wholly or partly. Any transfer of right in goods or of undivided share in goods without the transfer of title thereof (supply of services) to attract the same GST rate and compensation cess as applicable on supply of similar goods which involves any transfer of title in goods (supply of goods). 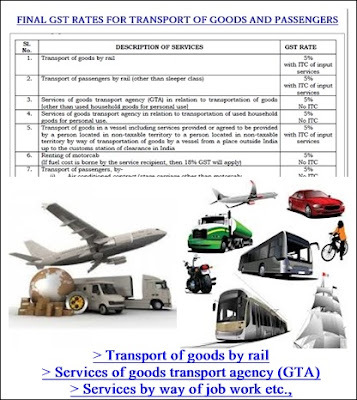 Supply consisting of transfer of title in goods under an agreement which stipulates that property in goods shall pass at a future date upon payment of full consideration as agreed (supply of goods): value of leasing services shall be included in the value of goods supplied.